Daniel Peysen obituary. Carnes Funeral Home. After a long struggle with cancer, Daniel Peysen went to his eternal home last Friday. Born in Wichita Falls, Texas, to Theodore and Kathleen Peysen, Daniel grew up there, with his younger brother, Jack Peysen. After graduating from high school, he moved to Austin, Texas to find more adventure. There he met the mother of his two children, who survive him, Jason Peysen (47, lives in Austin) and Stephanie Sorrell (45, lives in Grapevine with 2 of his grandkids). Daniel was a talented craftsman, worked as a carpenter most of his life, building custom cabinets, and was also always handy, patching things up. He enjoyed being outside most of all, on the lake, fishing, hunting, BBQ’ing or just breathing in the air. He was also an avid sports fan, his college favorite being the Texas Longhorns as well as a lifetime commitment to the Dallas Cowboys; and in more recent years, he thoroughly enjoyed keeping up with baseball, especially the Texas Rangers. Daniel was a loving person and loyal friend. His laughter was contagious and enjoyed by anyone who had the blessing of experiencing it. 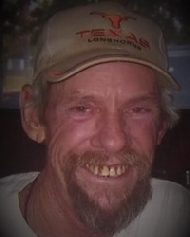 Daniel spent the last part of his life back in Wichita Falls, where he is also survived by long time girlfriend, Janice Fox, her 3 children and 6 grandchildren. Memorial services will be held at Trinity United Methodist Church, Saturday, August 18 at 2pm.